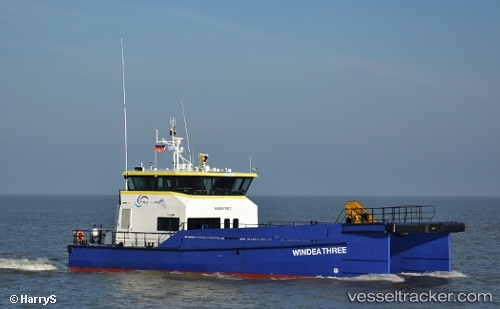 On December 6, the 26 meter long supply vessel Windea Three ran aground on Scharhörn Reef near Cuxhaven, Germany. The Windea Three was underway to Cuxhaven when it struck the edge of the bar. The crew notified authorities with the local DGzRS lifeboat responding. A nearby vessel also responded to the scene and was able to tow the Windea Three off the bar. The lifeboat escorted both vessels back to Cuxhaven. No reports of injuries to the seven crew on board the Windea Three. Reports state the Windea Three sustained some hull damage and entered a shipyard for repairs.